November 12, 2018. "ruruko ae "Starry Element" Starry Girl" will be stocked. > November 12, 2018. "ruruko ae "Starry Element" Starry Girl" will be stocked. 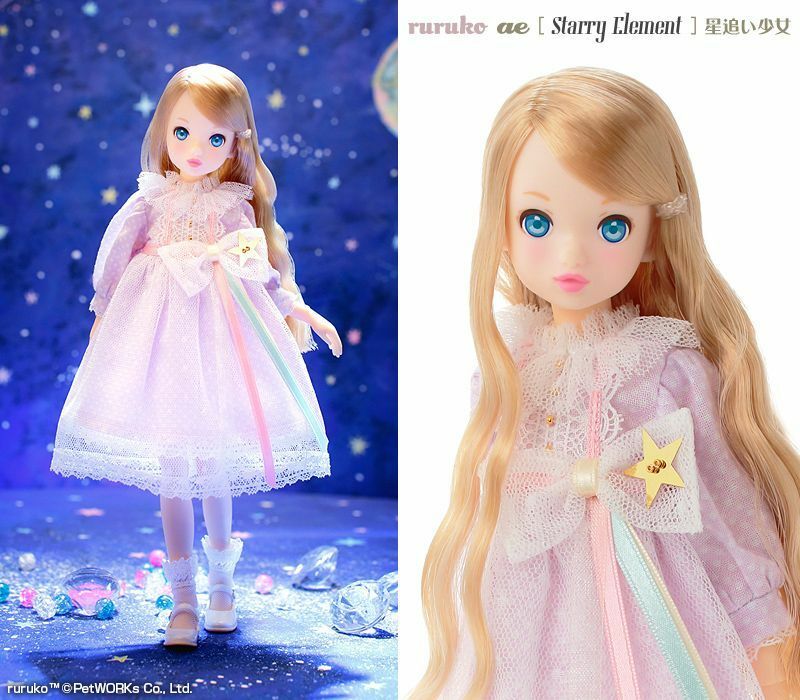 "ruruko ae "Starry Element" Starry Girl" will be arriving at our store. Designed by "Ele (Starry Element)", a Doll Fashion Designer. Sold exclusively at PetWORKs Stores. This item was originally produced on order. in surplus besides the amount we receive pre-order. These packages are the ones. The amount is only a few. Sorry when it is sold out. November 12, Monday 2018. around 15:00 in JP standard time ( 06:00 in UTC) on sale.